There always seems to be a dearth of chic beach towels. 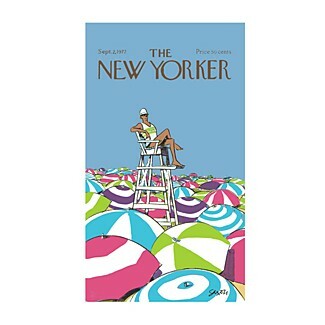 Why should any femme fatale of fashion have to sacrifice a complete accessorized ensemble for a day at the beach? Fear no more! SSS is here to help with a few picks at any price to make sure your lounging looks as good as it feels. 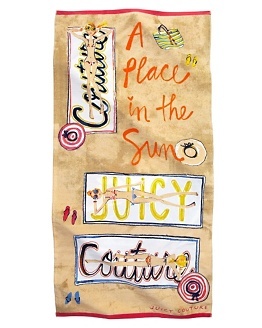 Aside from the towels pictured below, Bloomingdale's, Horchow, Free People, Shopbop, Henri Bendel, Macy's, ﻿ Zappos, and Pucci have many other attractive options for the beach-bound beauty. 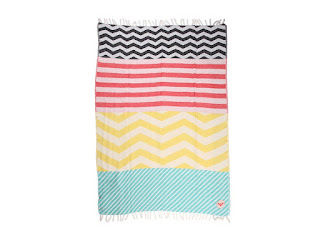 Also, check out Net-A-Porter, which has a selection of towels by Missoni, DVF, and Gucci. has a matching Gia cosmetic bag. 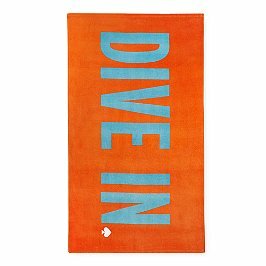 The above Conde Nast towel is also available at Bloomingdale's, but sells there for $50 (currently on a time-limited sale for $40). If BB&B sells out, hit up Bloomie's for this one. 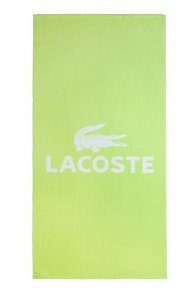 This Lacoste towel is available in five other colors, from pastel pink to a saturated red (grenadine). A couple of practical points to note about this towel: 1.) it's extra wide-- 79 x 55'' and 2.) it has small handles for hand-held carrying. Love it! Don't we all just need a place in the sun sometimes? With three girlfriends laying on the beach, wide-brimmed hats, bright sandals, and tons of Juicy, this is the poster-child (poster-towel?) for summer fun! 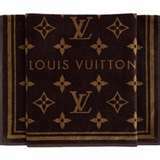 If you have a bad case of luxury logo love, this towel will make you swoon. Generously sized and representative of grandiose couture, this towel sets the bar high for the rest of your beach ensemble--it's time to deliver!